pinkpapercrowns: Sweet Stamp Shop Intern - Class of 2014!! Sweet Stamp Shop Intern - Class of 2014!! I have awesome news! 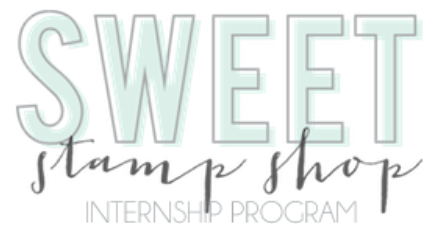 I have been keep this under wraps - but today I can share the awesome experience I am having being a part of the very first Sweet Stamp Shop internship! Visit the new blog for more info! Interestingly enough, my involvement in the Sweet Stamp Shop internship began with a tax question. The rest is – not yet history, but is definitely becoming an bright spot on my journey. I've thought, for years, about trying to submit some of my drawings to stamp companies in hopes of finding a gateway into the design side of scrapbooking. I have a solid background in art – I've taken instruction in different art forms throughout my high school and college years and I was a music and theatre major in college. Though performance-heavy, all art intersects and I had to show skills in a mix of media types in school. I've been a life-long crafter and I was always thinking about stamps I WISHED I had or really thought the crafting community would love. I was confident in my drawing abilities and thought I had a pretty unique style. Then, I tried contacting a few different companies, sharing my ideas and asking for a chance to talk to someone about an opportunity – but the responses were either negative or non-existent. It was a puzzle. I had the ideas - the dream. I had the passion and willingness to work for what I wanted, but no one was listening. Even though I still believed in my ability – I was loosing faith that I had to tools to make anything happen. Enter Nicole and her internship. So many missing pieces of my puzzle have come together as a result. I've learned that I was right – I didn't have the tools to make those things happen. BUT, I could get those tools and I didn't have to spend another four years in school to build something worth showing to manufacturers. I needed to learn Adobe Illustrator – and I COULD learn it. I needed a portfolio – and I COULD build one using the exact work I was doing in this program. I needed to have some focus – and it is difficult to separate yourself from your art enough to gain that kind of perspective alone. I needed community – they helped me see things I never would have otherwise. And, I needed to have someone expecting me to “show up” and contribute to my own future – being responsible to someone is a huge help and great motivation for me. To those of you who are reading these letters because you are trying to decide if you want to apply. I urge you to apply – it will be worth your time. Lastly, I think it is important that you know the good things but ALSO some of the things that might be challenging. Doing art as a job can be brutal. I'm not saying that anyone in the SSS program would EVER treat you in a mean spirit. BUT, to get the most out of this opportunity, you have to grow a little thicker skin. Nicole, Alyssa, and all the other interns will always encourage you, but they will also look at your work critically. And, though it might make some days feel harder, learning to handle constructive criticism AND more importantly, learning to look at your OWN work critically WILL help you if you REALLY want to take your art to the world. I had a little advantage coming into this program because of my artful education, but just as I my armor was tested, I have seen some of my fellow interns really build up their armor and we are all better for it. The Sweet Stamp Shop Internship gave me more design focus and invaluable information about manufacturing, but it also reminded me what it takes to make art into a job and has equipped me with many of the tools I need to take my ideas and make them work for ME. Thanks Nicole, I'm so glad I got to be a part of this on the ground floor. You rock. Yay awesome post! I'm so excited for you!! I can't wait to see your stamps! You better save a copy for me b/c I snapping them up as soon as the are available!!! Miss Kate Cuttables - Happy Birthday To You! Miss Kate Cuttables: Island Girl Hybrid Layout!